Committed, a six-man Adventist a cappella group, has released its first music video since winning NBC's The Sing-Off. "Break Free" is written by Therry Thomas, Committed's third tenor. The song talks about breaking free from the temptations of the devil by giving God control of your life. 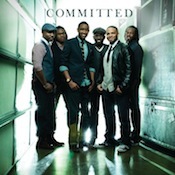 The a cappella group's debut album, "Committed," will be released on August 30, 2011.